Memorial Hermann Medical Group (MHMG) Texas Medical Center Internal Medicine & Endocrinology Clinic provides highest-quality primary care for patients in the Inner Loop and Texas Medical Center areas. Our internists and endocrinology specialists focus on precise diagnosis and up-to-date treatment, but the heart of our practice is caring and empathetic relationships with patients of all ages – newborns to seniors. Our highly experienced endocrinology staff treats conditions that affect the endocrine system – the hormone-producing glands that regulate metabolism, growth, tissue function, reproduction and sexual function, sleep and moods – including metabolic dysfunction and diseases of the ovaries, pituitary, adrenal glands and thyroid. 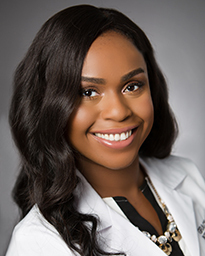 Dr. Tiana Shiver earned her medical degree from the University of Texas Health Science Center at San Antonio and completed her internship and residency at Albany Medical Center in Albany, New York. She also completed a fellowship in clinical endocrinology at the National Institute of Diabetes, Digestive and Kidney Disease of the National Institutes of Health in Bethesda, Maryland. Dr Grace Odi received her medical degree from UT Southwestern Medical Center in Dallas. She went on to complete her internal medicine residency at the University of Illinois in Chicago. Dr. Odi provides care for routine annual physical exams and treats a variety of acute and chronic medical conditions, such as cold and flu symptoms, diabetes, hypertension and high cholesterol, as well as anxiety and depression. Being an advocate for preventive medicine, her clinical interests include educating patients on nutrition and exercise. 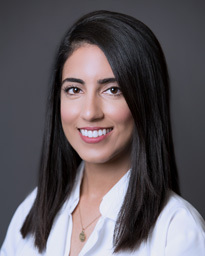 Dr. Sonia Singh received a Masters in Human Nutrition from Columbia College of Physicians & Surgeons prior to pursuing her medical degree at UCSD School of Medicine in La Jolla, California. She went on to complete her internal medicine residency at Stanford Hospital & Clinics. 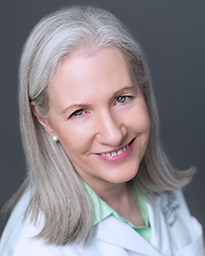 Board certified in internal medicine, she considers a primary care office the first stop for diagnosis and treatment of acute and chronic conditions such as hypertension, diabetes, and sinus infections, as well as annual physicals and preventive screenings. Memorial Herman Medical Group Texas Medical Center Internal Medicine & Endocrinology is located north of Loop 610 and NRG Stadium at the intersection of Fannin Dr. and Greenbriar Dr. in the Texas Medical Center. Clearly marked directional signage inside and outside the hospital helps patients and guests find their way easily as they move through the facility. Campus maps and hospital floor plans are available at the Information Desks located at the Cullen Pavilion entrance and the Robertson Pavilion entrance, from the concierge located in the Memorial Hermann Medical Plaza across the sky bridge from Memorial Hermann-TMC, at various wall kiosks throughout the hospital and in Volunteer Services in the Cullen Pavilion. See below for commonly requested routes.